All photos courtesy of Tori Scott. Been wanting to try [fill in whatever pricey fitness class here] but wary of shelling out thirty-some bucks only to maybe hate it? SweatCon Rally is coming to DC to fix just that. 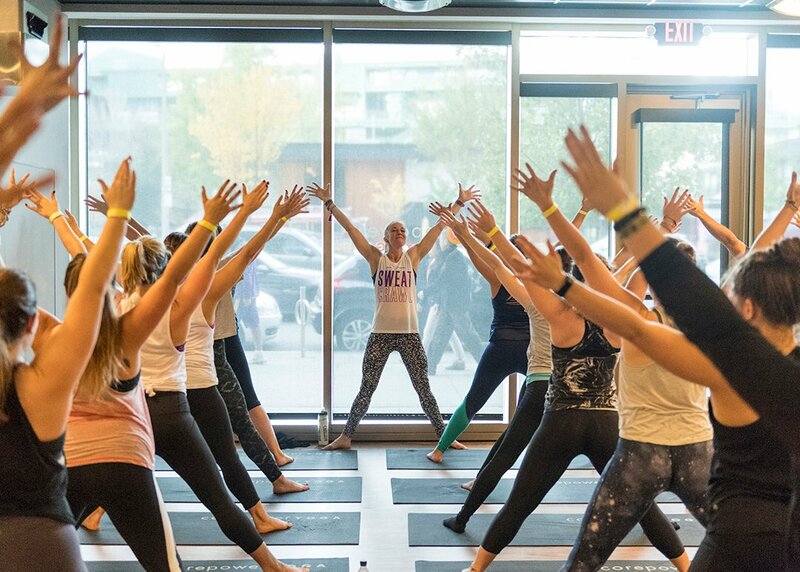 The one-day event on June 16 offers three, back-to-back studio classes in five DC neighborhoods—sort of like a bar crawl, only replace a mid-afternoon beer buzz with a CoreYoga/SolidCore/Blast-induced endorphin high. Scott launched the event component to bring together “like-minded people in a local setting—to meet, connect and sweat in local communities.” The day starts at 11AM with a check-in party (akin to a running expo, only this is included with the registration fee) on the rooftop of 880P in Shaw. Reebok, the title sponsor, will set up a pop-up shop, and guests can fuel with a Sweetgreen salad bar and juice from Jrink while getting hyped with a DJ and a gif booth. Glamsquad will have a braid bar. Plus, guests receive a swag bag with goodies from Yuni Beauty, Kind Bar, Vita Coco Water, and more. SweatCon Rally takes place June 16. Registration opens today at noon EST and is capped at 175 people. 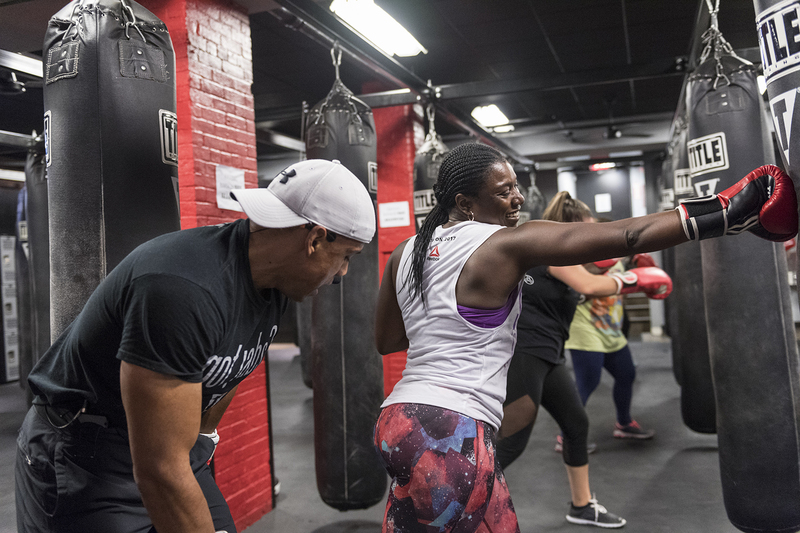 The cost for the event (pre-party plus three, 30-minute fitness classes) is $75. Parking is available in the garage at 880P for a fee; the nearest Metros are Shaw-Howard University and Metro Center Station.